Ok I did it – made my first post! Woo! On to post #2. I really really love is coffee. Hot coffee in the winter, cold coffee in the summer. Something that was hard for me to give up when I started my clean eating diet was coffee creamer. Sometimes, I wondered if I really wanted the creamer more than the coffee… Now, though, I have fallen completely in love with almond milk in my coffee. Typically, steamed almond milk seems to have more of a creamy texture for some reason when you put it in hot coffee. This is my attempt to take my favorite creamy tasting coffee and turn it into a clean dessert! Also, I am including a “crust” in this recipe. Take or leave the crust, but I found it really gives more of a thick & chewy texture to the mix. Blend together ingredients for the “crust” in a Vitamix or similar food processor. Drop the mixture into an 8×8 pan and press it down to compress. Pop in the freezer while you start on the ice cream. Melt the coconut oil. Add coconut oil, coconut cream, syrup and agave to a small bowl and mix well. Pour the mixture over the “crust” and pop back in the freezer until solid. 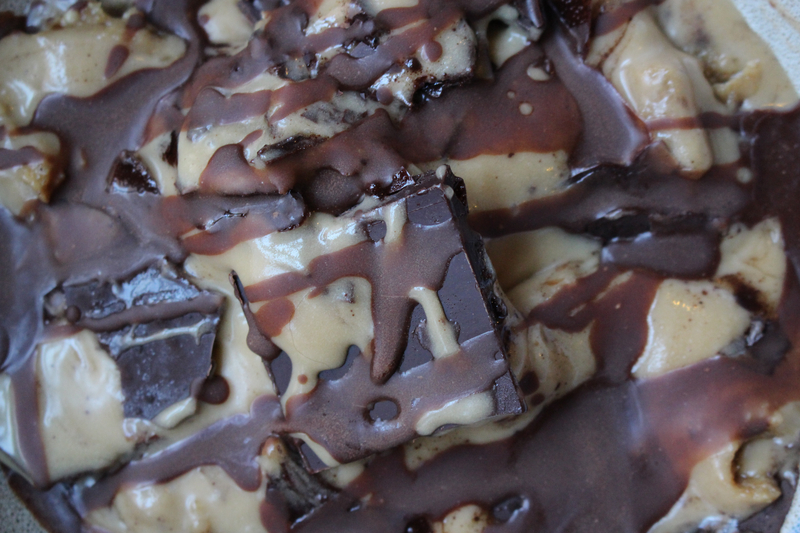 Once the layers are frozen, combine all ingredients for the chocolate drizzle. Let everything completely freeze! I let sit in the freezer overnight, but 3-4 hours should do it. 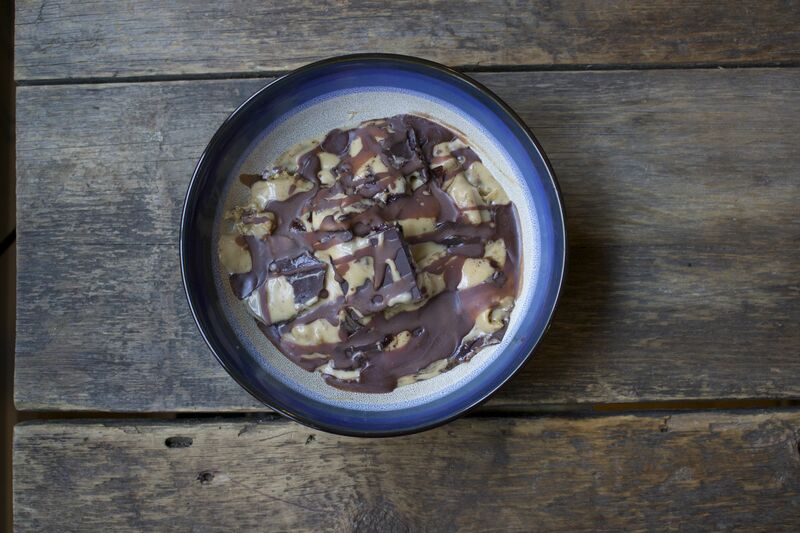 Before serving, warm up the remaining chocolate drizzle. Scoop out a hearty amount of the crust + ice cream and serve in a bowl. Add chocolate drizzle as desired and dig in!